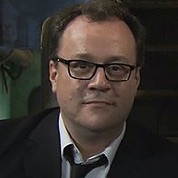 Line of Duty creator Jed Mercurio and Queer As Folk screenwriter Russell T Davies are among nine new recipients of fellowships by the Royal Television Society. The fellowships, which are given to those recognised as having made an outstanding and exceptional contribution to the industry, have been announced to mark the RTS's 90th anniversary. The new fellows are: Dan Brooke, Channel 4's chief marketing and communications officer and diversity champion; Anne Bulford OBE, deputy director-general of the BBC; screenwriter and television producer, Russell T Davies; Gary Franses, head of live events at Sunset+Vine; Sara Geater, chief operating officer at All3Media Group; Mike Gunton, creative director, BBC NHU and Factual at BBC Worldwide; John Hardie, chief executive of ITN; Irish television comedy writer and director, Graham Linehan and British television writer, producer, director and novelist, Jed Mercurio. Theresa Wise, CEO of the Royal Television Society, said: “To mark the Society’s 90th anniversary we thought it was fitting to celebrate the incredible talent working in our industry today – those who have had a huge impact on broadcasting and have helped to drive it forward and define its future."